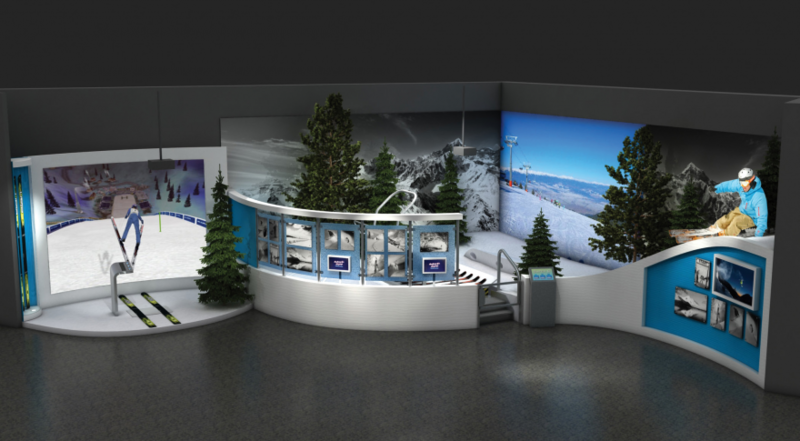 The Alf Engen Ski Museum believes in changing our exhibits to keep our look fresh and new. In our four mobile exhibits, currently we feature the Women's Ski Jumping team that will be competing in their first Olympic Games in Sochi, Russia this next February. 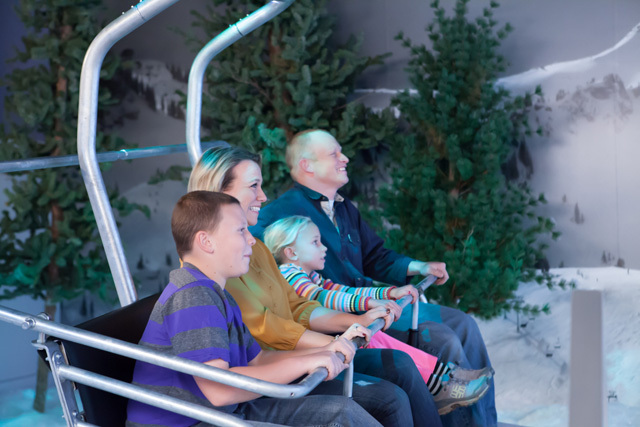 Our new interactive, state-of-the-art exhibit will give our guests a thrilling, life-like "ride" as they travel, via quad chairlift, over Mt. Superior in Little Cottonwood Canyon. Developed by JDH Group, Ogden, Utah, this new exhibit will comprise about 30% of our museum, comparing modern technology with that of the past. This exhibit is possible thanks to the generous seed funding from the Adobe Foundation and Alf and Evelyn Engen Endowment Fund, along with Summit County's RAP tax grant, Summit County 1% Restaurant tax grant, University of Utah, Park City Rotary Grant, Utah Division of Arts & Museums, Park City Mountain Resort Legacy Fund, and our ever faithful donors. Our exciting new "Ted Ligety Hometown Hero" exhibit highlights the racing career of World Cup champion and Park City resident, Ted Ligety. On display are awards and gear donated to the museum by the Ligety family. Our "Little Skiers" collection, donated by Barbara Stewart Anderson, is regularly changed to represent the season. Come see this wonderful collection of skier figurines from around the world!